Turkish Pres. 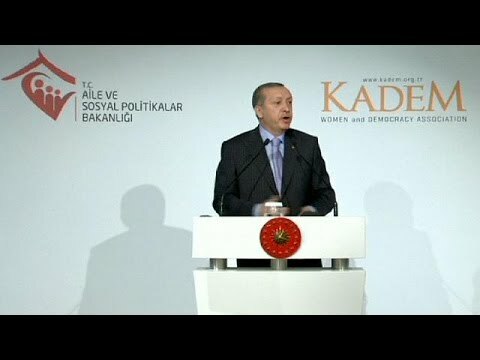 Erdogan says Women not Equal to Men: "Their System is Different." “The Turkish President has triggered fresh controversy, declaring in a speech that women are not equal to men. Recep Tayyip Erdogan also criticised the feminist movement, claiming they do not accept or understand the concept of motherhood. He spoke at a global justice and women’s summit in Istanbul.